With over 35 years of combined industry experience, our crew of professional, licensed Minneapolis plumbing specialists have the experience and knowledge needed to handle all of your plumbing needs. Dean’s plumbing trucks are workshops on wheels with clean modern tools and equipment, allowing Dean’s Minneapolis plumbers to complete the job quickly and efficiently. 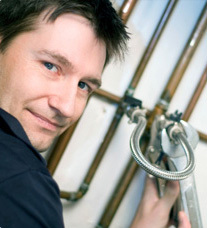 From service, installation to remodeling, Dean’s plumbers can do it all. At Dean’s, it is our first priority to leave the job site cleaner than when we arrived. We even have emergency service available throughout the Twin Cities for the unexpected plumbing emergencies.